Back last fall I received a phone call from a customer, Paul, asking for information concerning a particular rifle he had purchased. As the conversation moved along, we visited at length about this rifle. I mentioned that I had purchased one also and was interested to hear how his was doing as he worked up some loads, as I had not yet had the opportunity to work with mine. 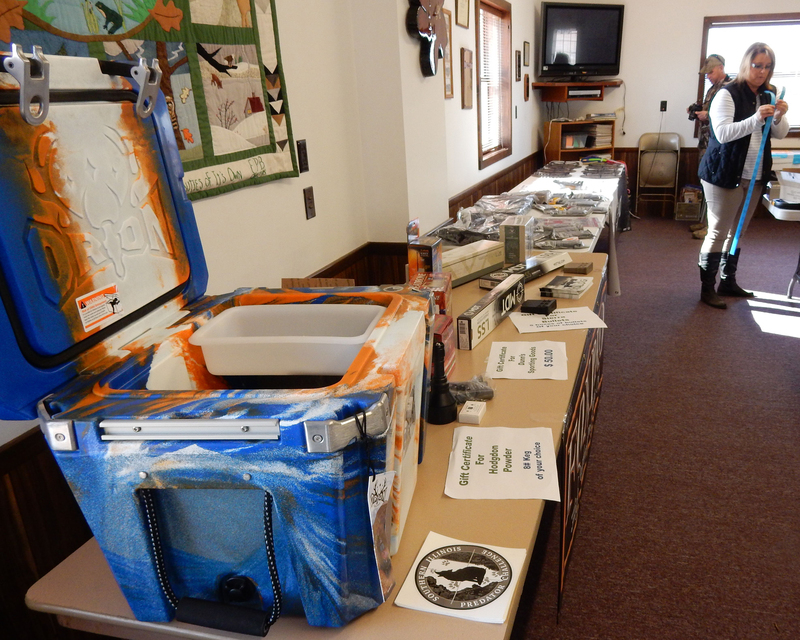 He also mentioned that he did a lot of predator control by calling them in. As this has always been an interesting subject for me, I questioned him further. He proceeded to give me a lot of pointers and information. The time came that the call ended with a promise he would certainly get back to me about his load development results. A couple of weeks or so later, he called back with some excellent news on the results he was getting from the information that I had passed along. As we were getting ready to end the call he mentioned an event that he was hosting in a couple of months. As I got more info from him, he wanted to know if I could attend as a company representative. I was hooked. I wanted to see what this was all about. The date was set for January 15, 2017. As the time approached, we were slated to receive the Icegeddon event with several inches of ice and sleet predicted. Paul phoned me and sadly stated that he had to cancel, but he was re-scheduling for February 4th and 5th. I told him I would be there. The event was held on private property just outside of Goreville, Il. On the morning of the 4th we arrived to a brisk morning temperature of 11 degrees. A brief event meeting was held giving event material and instructions. At the official start time, 37 two-man teams departed to begin the hunting phase of the Southern Illinois Predator Challenge 2017. We were able to visit with many of the teams and get more familiar with the type of hunting that they do. The art of calling a coyote to various different calls and vocalizations is quite a feat. The hunt would end the next day, (Feb. 5th) at which time the participants would return with the coyotes that had been harvested. Official check-ins began and winners were determined. 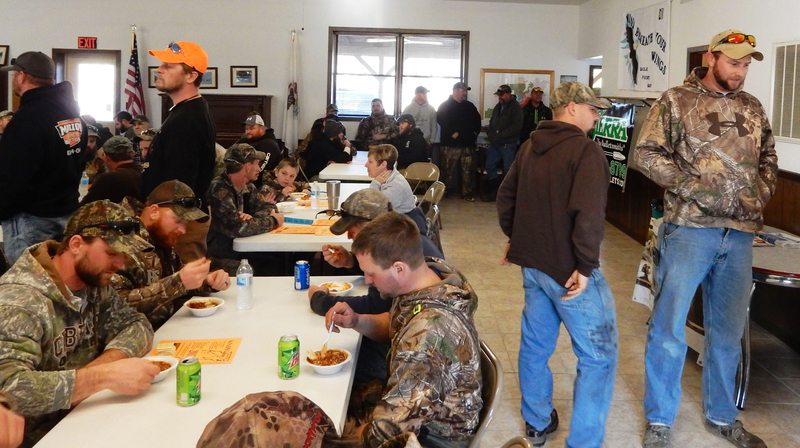 There was an after-the-hunt chili dinner given by the host at a club building where the winners were announced, door prizes awarded and recognition was given to the event sponsors of which Sierra Bullets was proud to be part of. 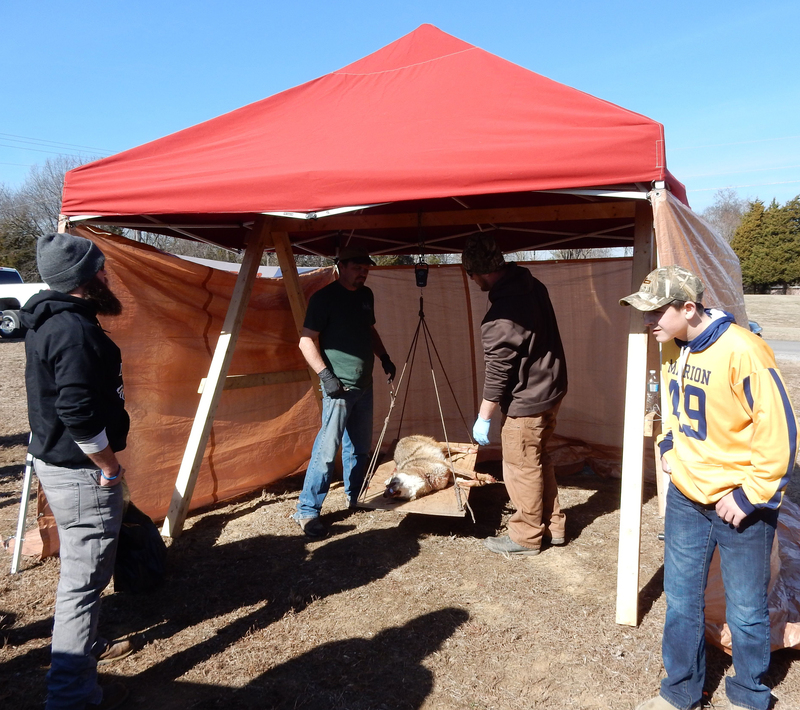 The hunters harvested 76 coyotes, with the winning team taking 9, second taking 7, third and fourth place winners each harvested 5 coyotes each, with the winners being placed by the heaviest coyote of their harvest. The 3rd Annual Southern Illinois Predator Challenge (SIPC) held on February 4th and 5th of 2017 was again a huge success! We could not have done this without the support from our generous sponsors this year. We had well over 100 who gathered, looking forward in anticipation to Sunday’s prize giveaways! Weather brought on a challenge when the original dates had to be postponed due to an ice storm in January, but the weekend in February worked out perfectly. 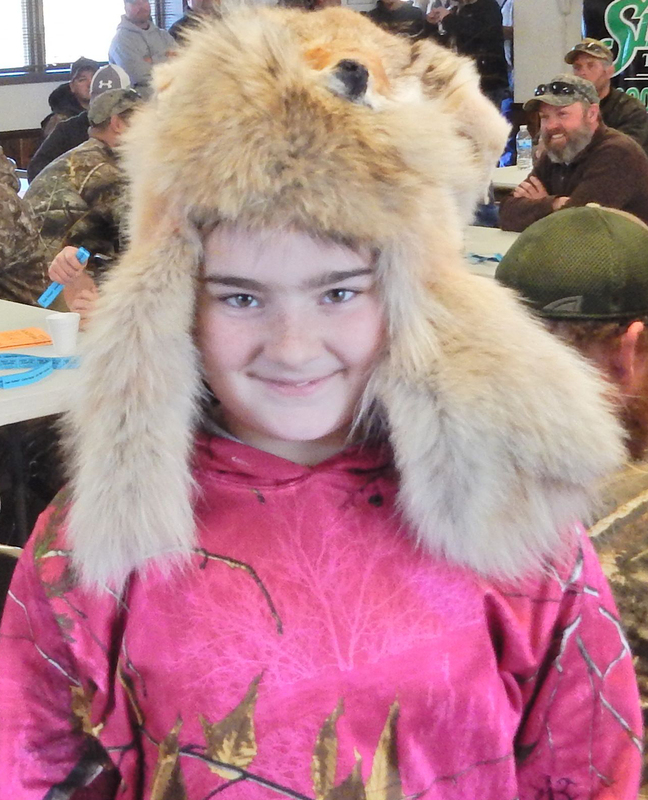 There were 74 participants that came to the event, 3 of which were youth who hunted alongside a parent. 76 coyotes were harvested from approximately 43 counties covering over 2900 square miles. We had hunters from all over Central/Southern Illinois, as well as some from Kentucky. SIPC was proud of the exposure that we received this year and the growth from last year’s event. 1st place went to Justin Roepke/Joseph Wirth (9 coyotes), 2nd place Jason Graff/Louis Glidewell (7 coyotes), 3rd place Wayne Shaw/Clint Shaw (5 coyotes), 4th place Kevin Edmonds/Matt Morgan (5 coyotes), 5th place Tyler Michael/Dylan Sanders (4 coyotes), Biggest coyote 39.55 lb Clayton Gulley/Lee Roberts. 1st, 3rd & 5th places used night vision & thermal units. 2nd & 4th places used red lights though most of them coming during daylight hours. 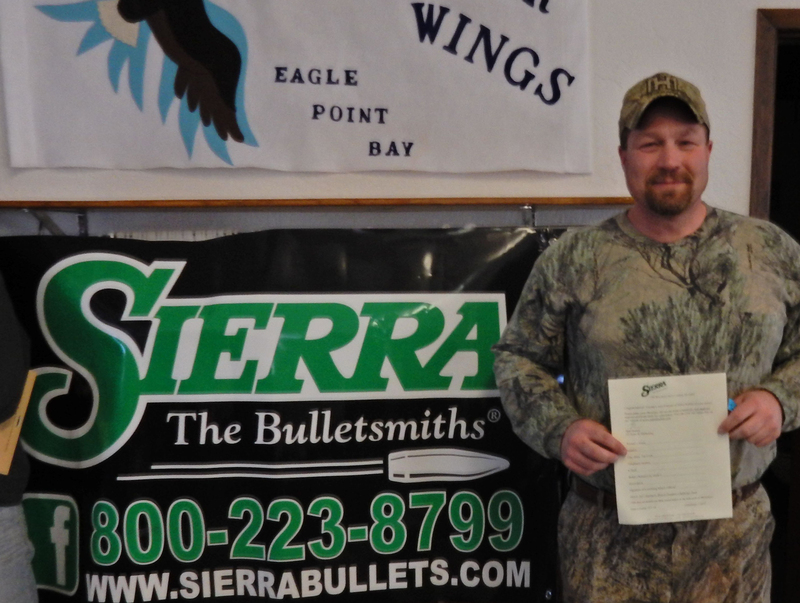 We would like to specially thank Sierra Bullets for their on-sight support ballistic technician Duane Siercks. Duane was very helpful in answering questions regarding the product with the participants. As SIPC continues to grow we would like to see more on-sight support from our sponsors as this gives more of a personal interaction with the company helping promote product. Our plan for next year is to increase our number of participants and to make it easier for out-of-state hunters. It is our intent to forgo the pre-contest meeting on Saturday morning. Registration & rules will be done on-line through our group page. This will decrease the amount of travel on those from out of state to one trip on Sunday to the awards/prize giveaway. We are confident this will boost attendance for SIPC 2018 to record levels. Again, thank you for your continued support. The success of SIPC would not be possible without your sponsorship. We look forward to helping to promote the sponsors of SIPC throughout the year. I received an e-mail from Paul a couple of days ago with a picture of his son, CJ Browne, with his first coyote harvest. 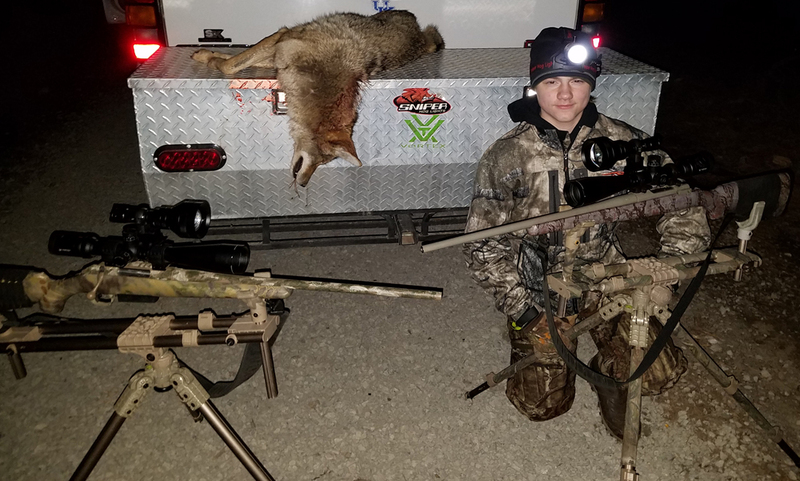 This entry was posted in Hunting Stories and tagged coyote, coyote hunting, Illinois, predator, predatorhunting, varminthunting, yote, yotehunting. Bookmark the permalink.